On Wednesday August 9th 1961 a Cunard Eagle Airways Vickers Viking with three crew members, code named Papa Mike, carrying 34 teenage school boys and two masters from Lanfranc Secondary Modern School in Croydon, crashed just below the summit of Holtaheia, a mountain, near Stavanger in Norway. All 38 men and one woman were killed instantly. It was the worst accident of its kind to have occurred since the war, and at that time, Norway’s worst aviation disaster. Members of the Norwegian Red Cross brought the bodies of the victims down from the mountain top for repatriation. 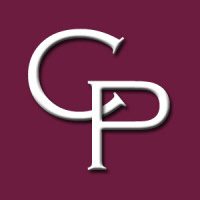 The whole of Croydon was in shock because almost everyone knew of someone involved in the tragedy. The town went into mourning. News of the disaster was syndicated around the world and was important news for quite a long time – especially, of course, in Croydon and Stavanger. Months later the conclusion of the Norwegian Air Accident Enquiry was that no one thing was to blame for the crash. Nothing could be learnt from the mysterious accident, so everyone had died needlessly. They were wasted lives. 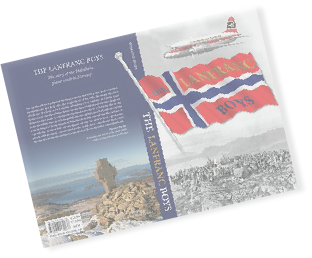 The Lanfranc Boys was written to commemorate all those who died when Papa Mike crashed into Holtaheia, a mountain in Strand, near Stavanger in Rogaland, Norway. More than 100 people helped contribute to the book by giving their memories from that time of the friends or relative they had lost. The result was that all the victims were recalled alive and enjoying life before the fateful day of August 9th. 1961. Read more. Flystyrten i Holtaheia was translated into Norwegian from The Lanfranc Boys. 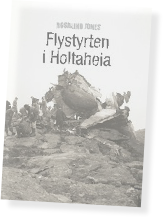 It does not include the personal memories of the victims.Both books were launched to coincide with the 50th Anniversary of the disaster on Holtaheia. This commemoration was attended by relatives and friends of the victims, many of the original Red Cross Hjelpekorps rescuers, Royal Norwegian Air Force personnel, local folk from Strand and people from Stavanger who had not forgotten the tragedy. Read more. 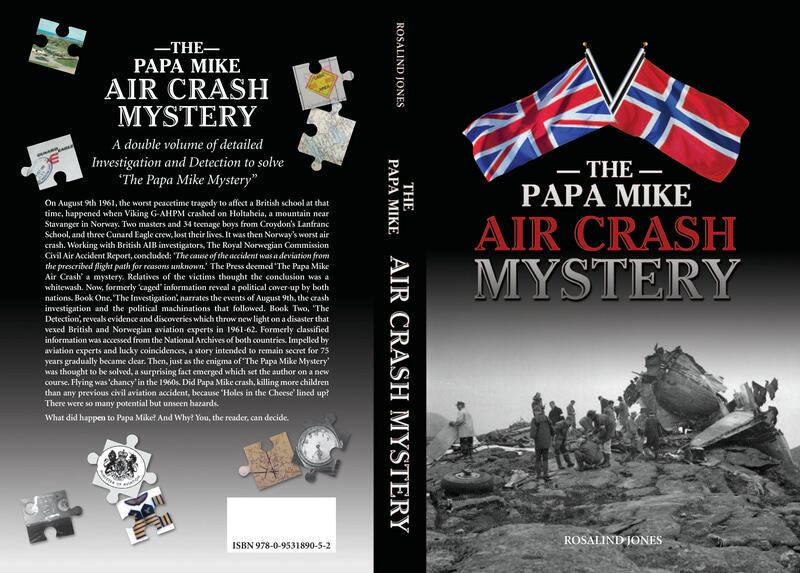 The Papa Mike Air Crash Mystery resulted from The Lanfranc Boys. In October 2011 Helene Bjørntvedt wrote to Rosalind Jones saying that she had an idea as to what might have happened to Papa Mike, but needed information used for the book. 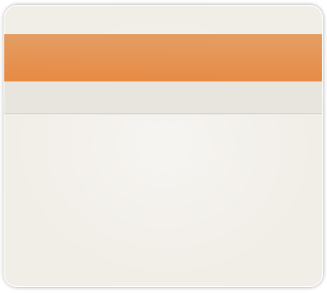 Rosalind was pleased to help. Books had been sold to specialist Aviation Bookshops and one of these book sellers sold a copy to a retired airline captain and crash investigator. He wrote to Rosalind Jones and said he wanted to solve the ‘mystery’ because in his view there was no ‘mystery’ that couldn’t be solved. Read more. 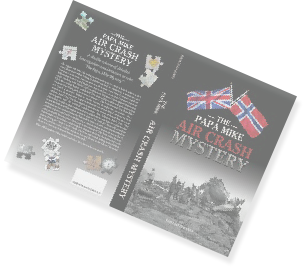 Order your copy of The Papa Mike Air Crash Mystery for £17.00 (plus postage - rates vary depending upon where you wish the book to be sent).